The Symmetric Travelling Salesman Problem (STSP) has many different formulations. The most famous formulation is the standard formulation by Dantzig, Fulkerson and Johnson (Oper Res 2(4):393–410, 1954, ), which has \(n(n - 1)\) variables and \(2n - 1 + n - 1\) constraint. 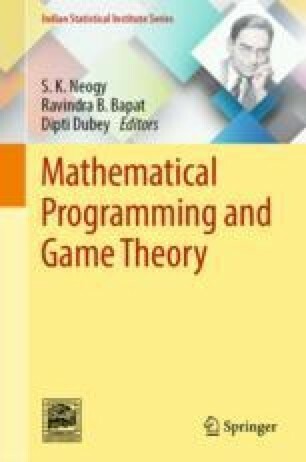 The focus of this research is on the multistage insertion formulation (Arthanari, Mathematical Programming - The State of the Art, 1983, ). The MI formulation is as tight as the standard formulation but only has \(n^3\) variables and \(n(n - 1)/2 + (n - 3)\) constraints. Integer gaps found in computational studies comparing different formulations indicate the superior performance of the MI-formulation. 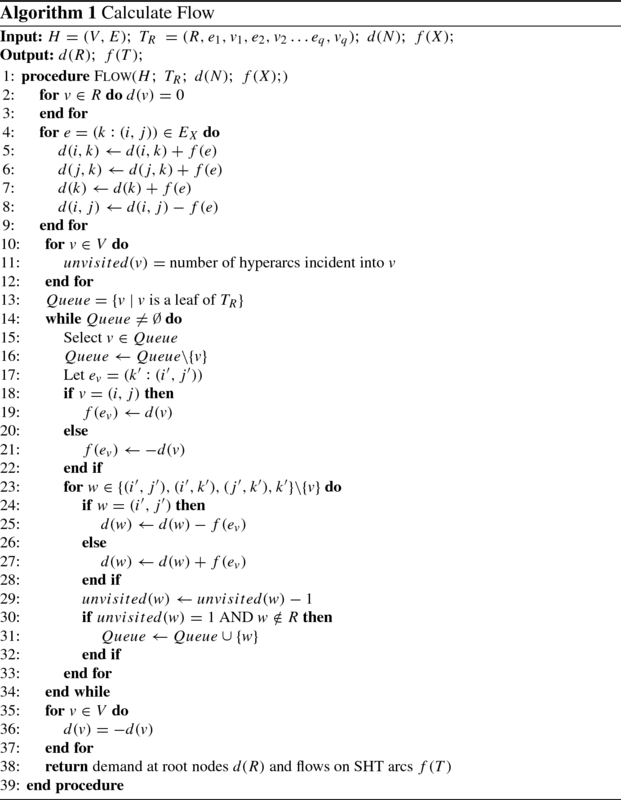 However, these comparisons have used generic LP solvers to solve the MI-formulation of STSP instances. Due to memory restrictions, problem sizes below 300 are only considered by them (Haerian, New insights on the multistage insertion formulation of the traveling salesman problem-polytopes, experiments, and algorithm, 2011, ) In this chapter, we outline a four-phase approach to solve this problem based on Arthanari’s (Atti della Accademia Peloritana dei Pericolanti- Classe di Scienze Fisiche, Matematiche e Naturali, 2017, ) finding that the MI relaxation is a special type of hypergraph minimum cost flow problem. Phase 1 adapts the HySimplex methods from Cambini et al. 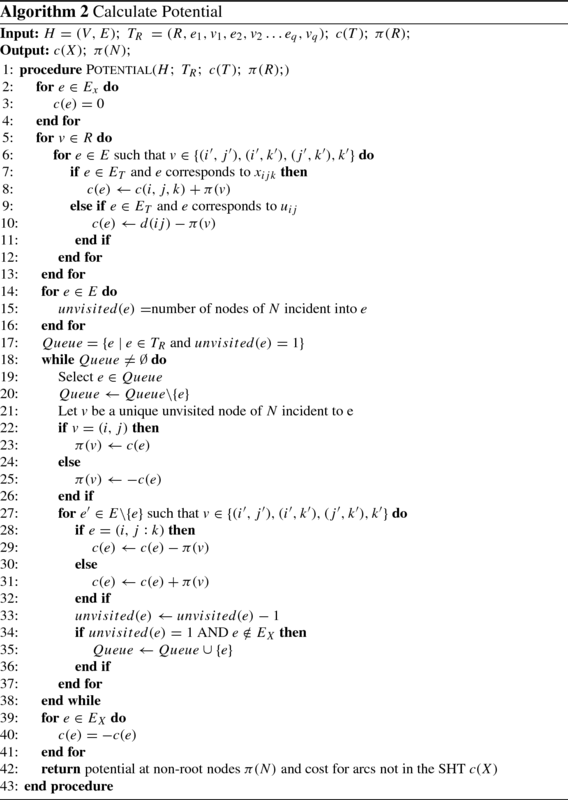 (Math Program 78(2):195–217, 1997, ) for the MI-relaxation problem of the STSP. Phase 2 is the implementation of a prototype from the algorithms in phase 1. Phase 3 consists of optimizing the prototype from phase 2. Phase 4 consists of computational experiments. This chapter focuses on phase 1 of this research. 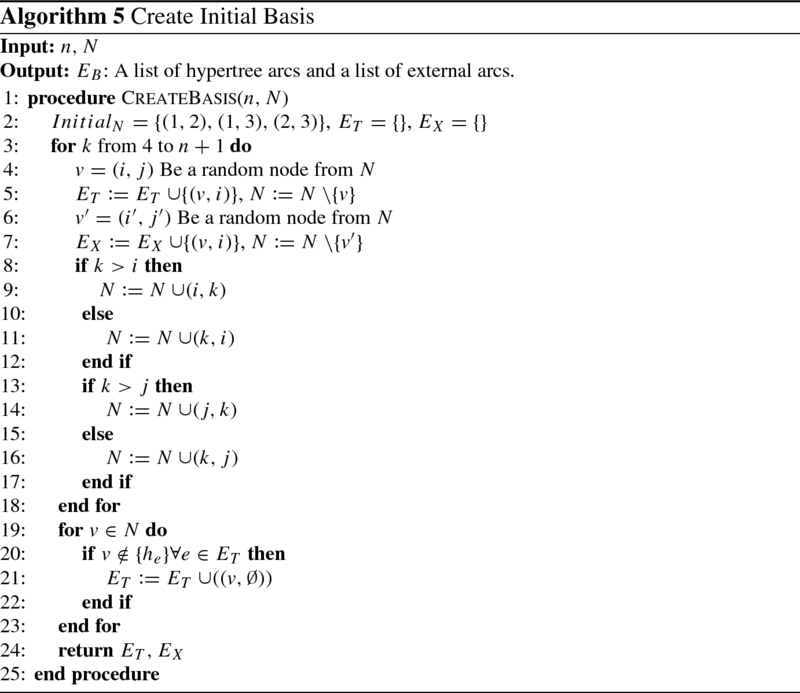 The four algorithms used to solve the minimum cost flow problem on the hypergraph are presented here.